← The LeVert Injury: what now? Are the Nets rebuilding through the middle? And can it work? Nets fans, almost universally, are looking forward to the summer of 2019. With Sean Marks finally unshackled from the limits imposed on him by the Nets-Celtics trade of 2013 (made before his tenure), the summer will represent his first opportunity to truly remake the Nets in his image. 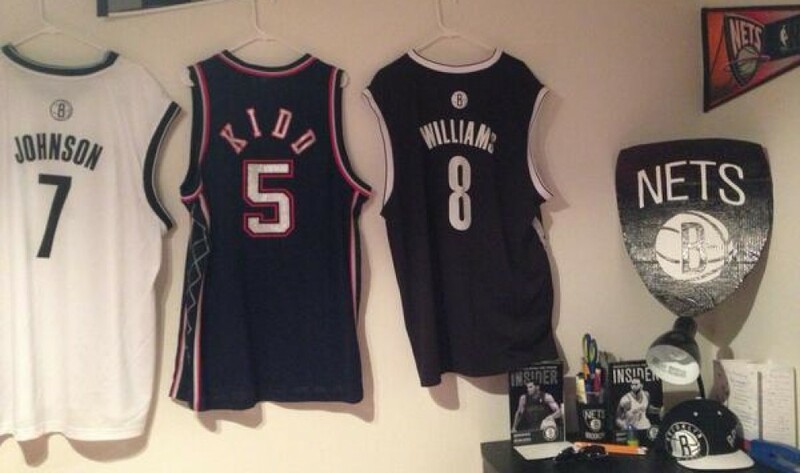 Nets fans – like all fans – have different thoughts on how to do that. And quite candidly, if it were me, I would humbly suggest that the Nets tank, sell parts off for as many picks as possible, and launch a Sam Hinkie like rebuild in 2019. Some, of course, think the Nets are doing just that. I believe they are not. They tried to add Otto Porter for $106 million, added Allen Crabbe for $75 million, and added D’Angelo Russell two years before free agency rather than more cost controlled assets in the Brook Lopez trade. To me, these sort of win now talent adds are simply not the work or a organization out to lose. What do I think the Nets are doing? Rebuilding through the middle. So, what is rebuilding through the middle? And can Markinson pull it off? Rebuilding through the middle is making the decision that, rather than tank, steps to 50+ wins can be taken from the 30-40 win region. We saw the Rockets do it before getting James Harden. We are seeing the Pacers, and Clippers (these aren’t star laden title contenders), attempt it right now. So let’s talk more about rebuilding through the middle. Why do it, what are the rules, and can the Nets succeed at it? Many reasons. On a simple level, with the NBA changing the odds that the worst teams earn the top draft picks, or the point of tanking, the expected value of tanking has gone down. While the odds of getting a top pick are still greater if you are awful, the extent to which the odds are greater has decreased significantly. Second, and more complex, is star movement in free agency – building through the middle opens that door, while tanking closes it. Whether it was LeBron and Bosh to Miami (and LBJ to Cleveland), George to Oklahoma and Russ staying in OKC, Aldridge to San Antonio, David West to Indiana, Love ok-ing a deal to and extending with Cleveland, Millsap to Denver, Durant to Oakland at the expense of LA and New York, Chris Paul and Dwight Howard deliberately leaving LA, and Hayward choosing a loaded Boston team, we have seen a theme in free agency since LeBron’s 2010 foray — stars and big time players want to win, and are putting that over “the big city” in free agency. With this being the case, if you want to be a factor in free agency, it is imperative that your team is good enough, in the present, for free agents to say, “they have something good going on and I can be that missing piece.” That simply will NOT happen if you tank – stars don’t want to join 55+ loss franchises. While fans drool about what prospects will be at the next level, stars have seen hyped prospects flame out at all levels of their journeys – they do not see them the way fans do, but as unprovens not to gamble their primes on. Third, and even more complex than that, is star movement in trades – the “star demands trade” market enhances the value of building through the middle, while decreasing the value of tanking. How is that? Owners have responded to stars leaving in free agency by dealing them to try to get something. And stars – both to get where they want to be sooner, and to ensure they can get a supermax with their new team (only your incumbent can give you one), are starting to force trades more and more often. How does this benefit builders through the middle? Because when a star demands a deal, he has leverage to control the destination. This helps builders through the middle – teams who are decent and have a core for the star to join – and hurts tankers. Builders through the middle have even another edge in star trades – more varied trade assets. When teams trade stars, the common school of thought is “get picks and kids.” But these trades often do not proceed by the common school of thought. Rather, every team dealing a star has a different priority. Some want picks to rebuild. Some want players to remain competitive. Some want young veterans to say they got good young players. Accordingly, the best way to trade for a star is NOT to have just a stash of picks, but to have all types of assets – if you have every type of asset and friendly contract you maximize your chances of having the package teams want. This includes those mid sized, team friendly, Robert Covington like contracts as talented filler in deals. If you have nothing but your core kids and bad contracts you took on to get those kids, you lack this type of asset. The fourth reason, yet again relates to star movement. The old school NBA featured a lot of big time players staying where they were drafted. As a result, you saw a lot of long playoff and title contention windows – once you got to that 50 win level, your players stayed put, and you won for a while. Star movement, however, is shortening title windows. LeBron gave the Heat and Cavs four years each. Durant might only give Golden State three. While Indy had George for 7 years, take away is uber young development and injury and that comes to more like five years. As a result of all this movement, the windows to contend are shrinking as players move around. With contention windows shrinking, we simply might see less long scale tanking projects. It’s one thing to take 4-5 years to build a core you will have for a decade. But if the payoff is only 3-5 years long, can you take 5 years to build up to it? Ok, so that tells us WHAT rebuilding through the middle entails. But what are the rules of making it successful? Rule 1: you need to win some. This is the main key to building through the middle. If you are winning 25-35 games a year, your core likely is not good enough to attract star talent via this method. Rule 2: you need to be flexible. This is where the Miami Heat have failed. Rebuilding through the middle can work if you have the flexibility to add big talent to the roster. If you’re capped out with mediocre, however, you will be “stuck in the middle.” But you’re not stuck in the middle if you have cap space and movable contracts to chase stars. So, we know what it is and we know the rules. Can the Nets pull it off? Frankly, I believe they will need to win more. At 8-12, they are on pace to win 32.8 games this year. I do not believe their core, at the moment, is quite good enough to lure free agents, and render the Nets a trade destination. One concern I have: they need to pick it up, but per ESPN Rankings they have had the fourth easiest schedule as of Thanksgiving (a figure the 7-11 Wolves would not boost much). This Nets core needs to prove me wrong to succeed. It needs to fight to the wire for a playoff spot, to show big names that it is attractive. That will require better basketball than the first 20 games revealed. If it DOES work in 2019, money allocation will be key. Obviously, if the Nets sign a superstar, they will contend immediately. If they don’t, however, they need to retain the flexibility to add a superstar in 2020. With due respect to say, Tobias Harris, he makes the Nets BETTER, but not a contender, as a Kevin Durant would. Of course, so much of this relies on a measure of guesswork as to who they keep from this year, the cap going forward as set by the league, and nailing the Harris signing. With that said, the Nets are in a position where if they fail to add a superstar, they can add very good players, and still enter 2020 with a ton of cap room. In light of all this, I believe Marks and Atkinson deserve to keep their jobs for a little while longer. They have set the Nets up, asset and player development wise, such that they are in position to make some potential large strikes. Whether by building through the middle – or by tanking. The Nets contracts are movable enough that, if Marks wants to tank, he has an escape hatch. With that said, if the Nets, after the summer of 2020, still have not added a big time player, by the draft free agency or trade, then that set up will have gone for naught. That would mean that Marks, while capable of setting the table, is not capable of making Thanksgiving dinner. So, are the Nets rebuilding through the middle? And is Marks the man to execute the plan?